Authorities say a freight train has derailed and crashed into a home in Atlanta, knocking it askew and injuring a man. 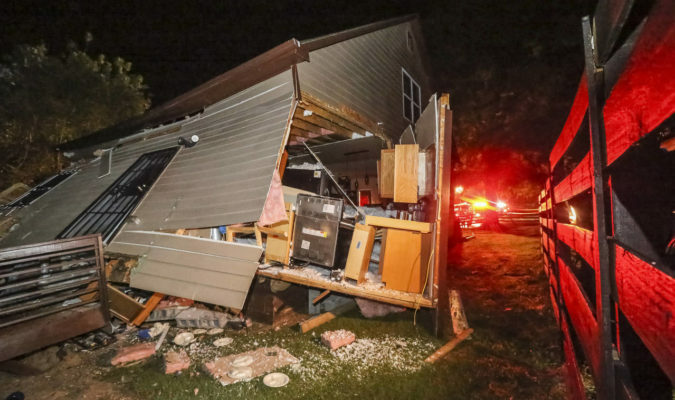 Atlanta Fire Rescue officials said in a brief statement that “multiple cars” had derailed about 3 a.m. Thursday, sending one of the cars into the bedroom of the house. Atlanta fire Sgt. Cortez Stafford said the man was conscious and talking when he was taken to the hospital. He was later reported in stable condition. Stafford said the CSX train went about 5-10 feet (1-3 meters) inside the house. News photographs showed the home apparently knocked from its foundation with some siding ripped away, revealing its interior.